If there’s one thing I have a gift for, it’s creating bad titles for posts! When setting up a WAMP stack the other day (Windows, Apache, MySQL, PHP), I needed to grab a Drupal instance from a repository. This is pretty easy to do — it was an almost-unmodified copy of Drupal, there was a MySQL dump available for importing, and all specific environment information was in an extended config file. I updated the information (database credentials), imported the database, set the CHMOD permissions, and boom — Drupal was up and running. Except when I tried to login, nothing happened. There was no error message or anything like that (even when a bad password was used). 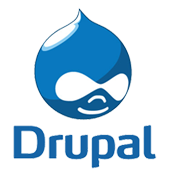 The Drupal login page was simply refreshed each time the login form was submitted. The solution in this case was simple. You must enable the mod_rewrite Apache module (it’s simply called rewrite_module on WAMP). Thanks a million! This is the first drupal site I built using wamp (usually it’s on mamp). I had the same experience you described, and couldn’t figure it out! This was the exact solution.